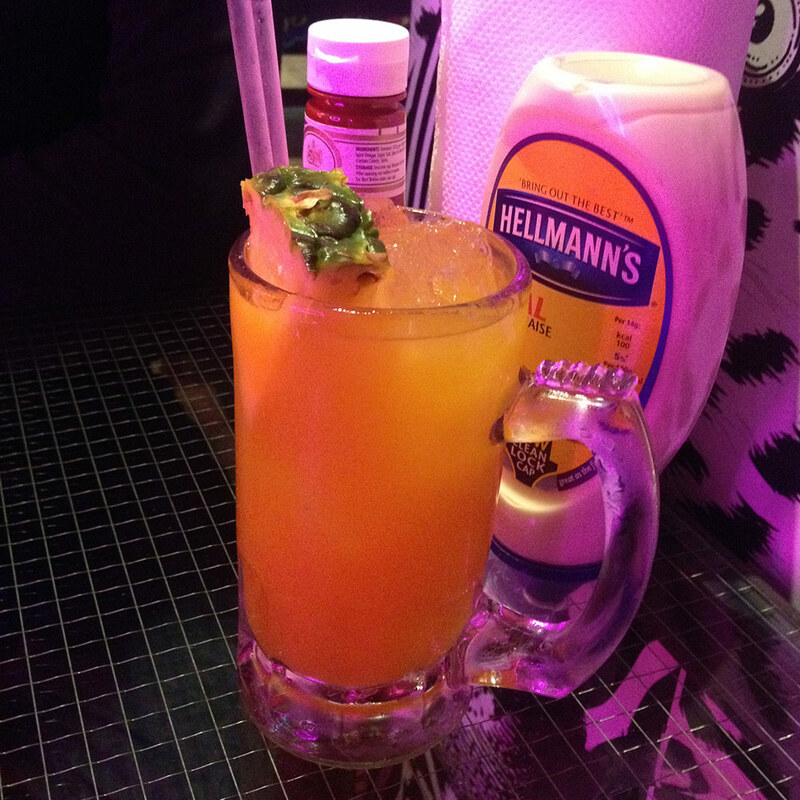 After what felt like an age of waiting, and with four successful London branches already under its belt, MeatLiquor Brighton finally opened its painted doors to the public last Wednesday. 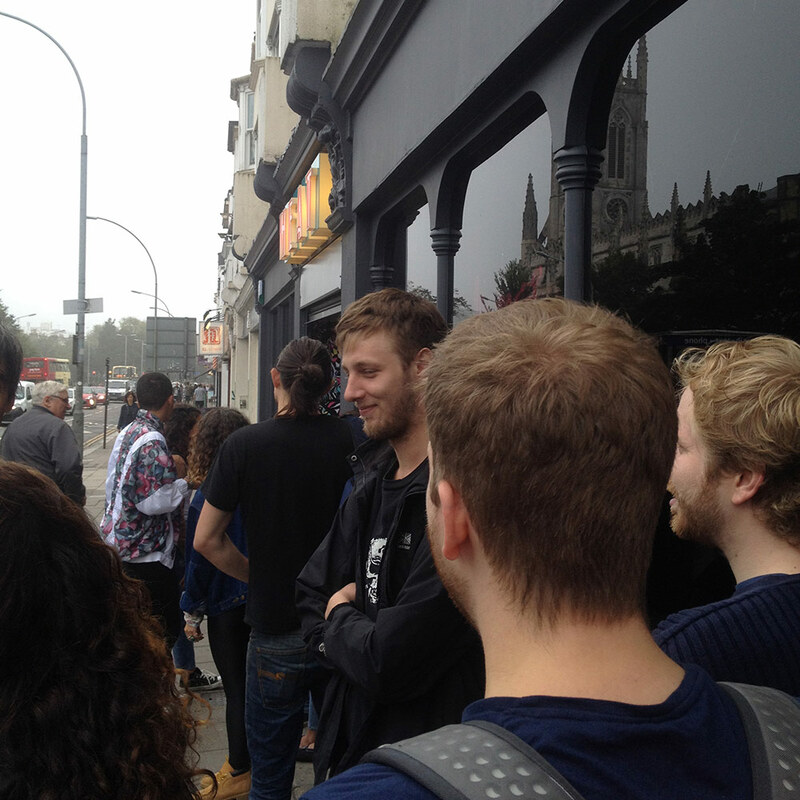 Intrepid burger explorer that I am, I was in the lengthening queue as the Brighton’s freshest burger joint opened for the first time to its slavering, meat-crazed new customers. “Hip” was the strong first impression; every inch of the walls and ceiling was covered in snazzy graffiti, a large neon flamingo stood proudly next to our table. The bar was lengthy and well-stocked, the atmosphere dark and buzzing, the smells of chargrilled beef inducing much smacking of lips. Every table was filled; excitement was palpable. 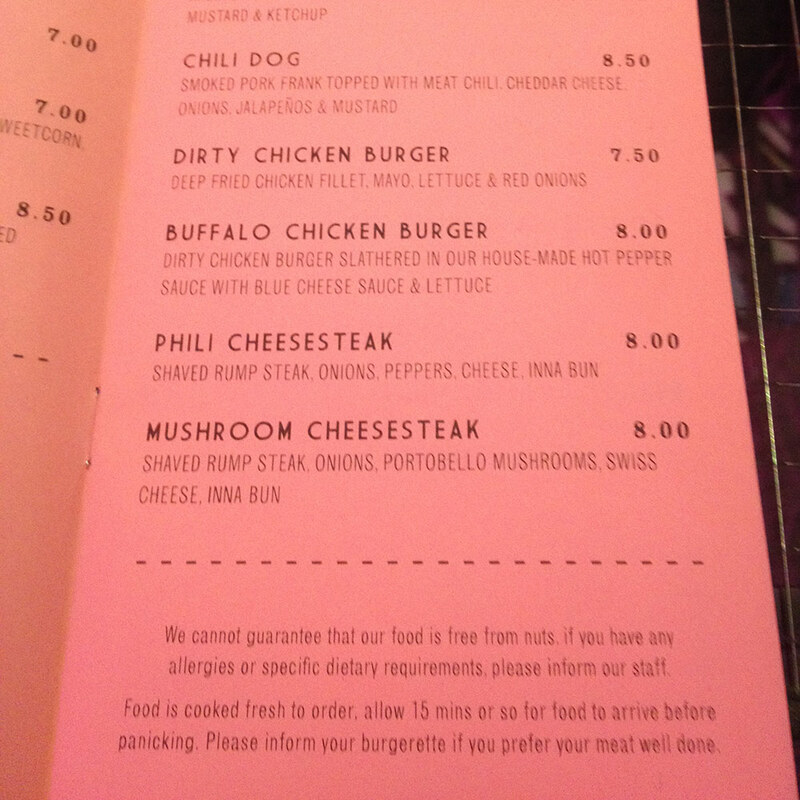 The menu at MeatLiquor is extensive, with seafood being a surprise inclusion alongside an impressive list of burgers. Cocktails are also represented generously, and giddy on the excitement of opening night, my friend and I ordered the House Grog, an exotic and potent blend of three different types of rum and fruit juices. Staff were milling about everywhere, as you’d expect for the first service, and were extremely polite and attentive, bringing our drinks and taking our orders quickly and efficiently. 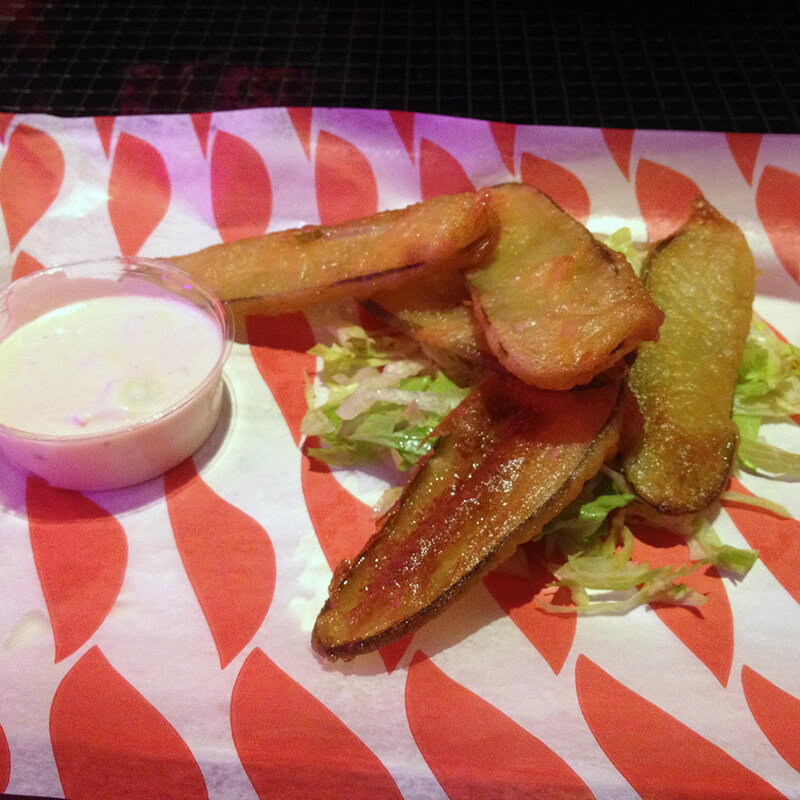 There was one hiccup though – we got an extra plate of the fried pickles! Considering how good they are (see ‘Sides’) this could only be viewed as a massive bonus. 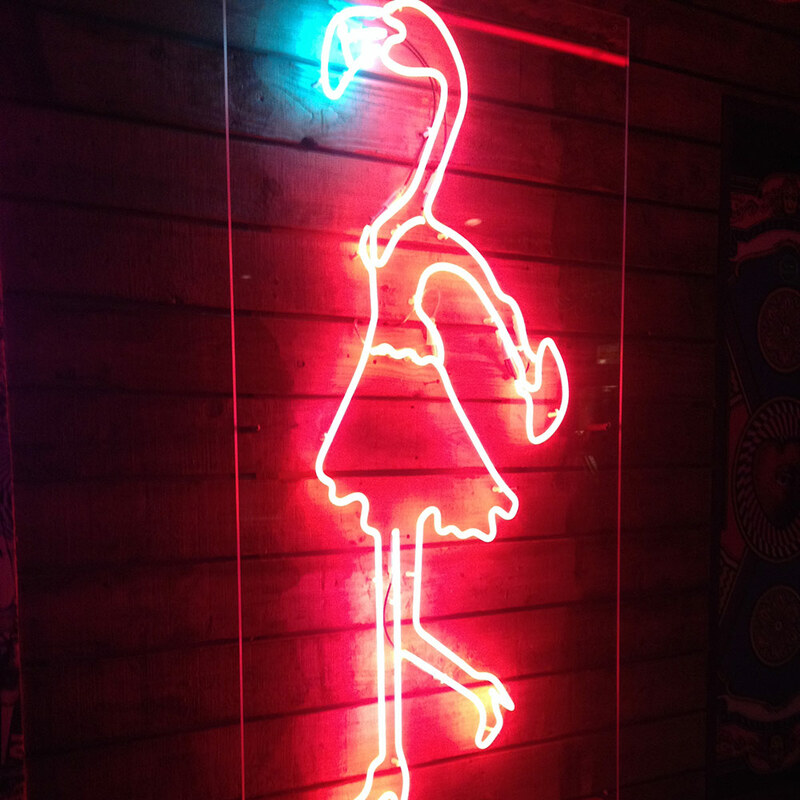 MeatLiquor is characterised by somewhat unusual taste – isn’t that right, flamingo-girl-thing? Buoyed by the 50% promotion they had running for the first few days, we submitted an order that we hoped would make our stomachs weep with joy – the Dead Hippie, the Green Chili Cheeseburger, and sides of cheese fries, fried pickles and house slaw. The Dead Hippie is a messy, gooey, gorgeous beast, glistening in its own juices provided by the two patties, each fried in mustard for an added twang. Sandwiched between these meaty slabs is the rapidly disintegrating cheese, adding an extra hit of greasy goodness. Pickles and cucumber add some counterpoint crunch to all that tender meat, but it’s the sauce that makes the Dead Hippie sing, although I can’t quite make out what it consists of (and MeatLiquor wouldn’t tell me). My guess would be at a mustard and mayo combination, maybe with some added herbs, but I might be completely off-base. 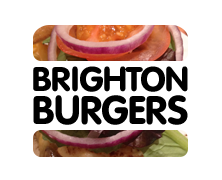 Whatever it is, it balances out the umami of the juicy beef perfectly. I suppose my only gripe is a common one – the bun didn’t stand a chance in the face of all that gooey manna, the bottom half breaking apart long before I’d polished off the last crumbs. My friend didn’t fare so well with his choice, judging by the coughing and spluttering across the table. Pulling back the top half of his bun, we were horrified to see the amount of green chillies clinging to the bread – enough to kill a spice-intolerant man, like myself. Having scraped off the majority of the chillies, he fared better, but this over-zealous chili hit seemed to spoil his burger. Hopefully an opening day blip – but just bear it in mind if you order one of the chili based concoctions. Ah fried pickles, where have you been all my life? The ultimate side, in my opinion, consisting of nothing more than slivers of gherkin deep-fried in batter and presented with a generous dollop of blue cheese to even out the acidity. Pure snacking heaven; I’d go back to MeatLiqour just for these. The cheese fries weren’t quite as good, with the cheddar having coalesced into one big cheesy carpet on top of the chips. Tasty, still, but not clinging to every fry as you would hope. 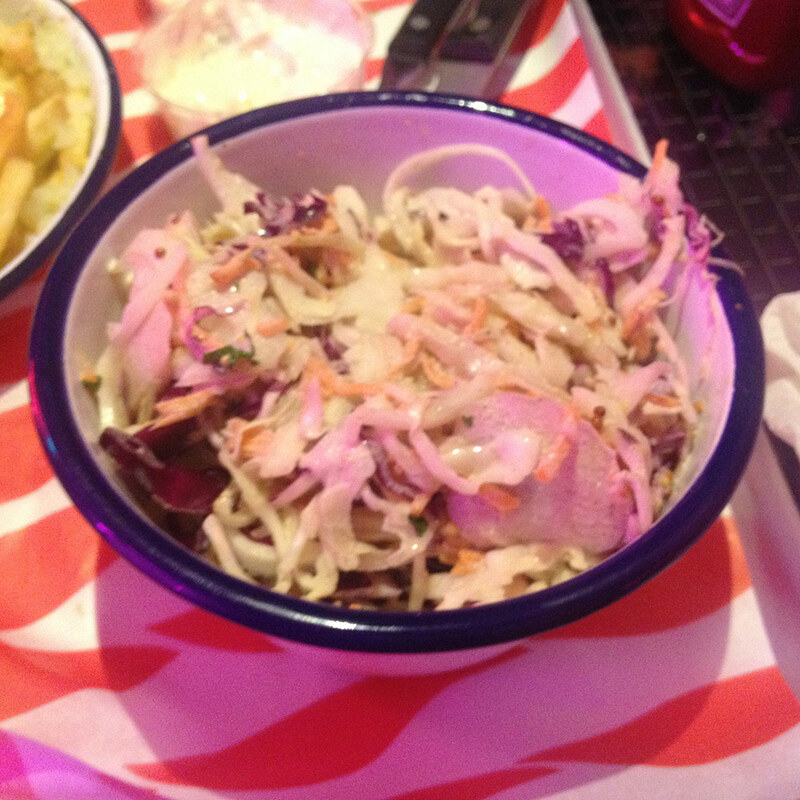 The slaw was excellent however; crunchy, fresh and tangy and in a generous portion which is best shared, much like the fries. However, having got an extra plate of the fried pickles by mistake, I can categorically say get your own portion of these bad boys. 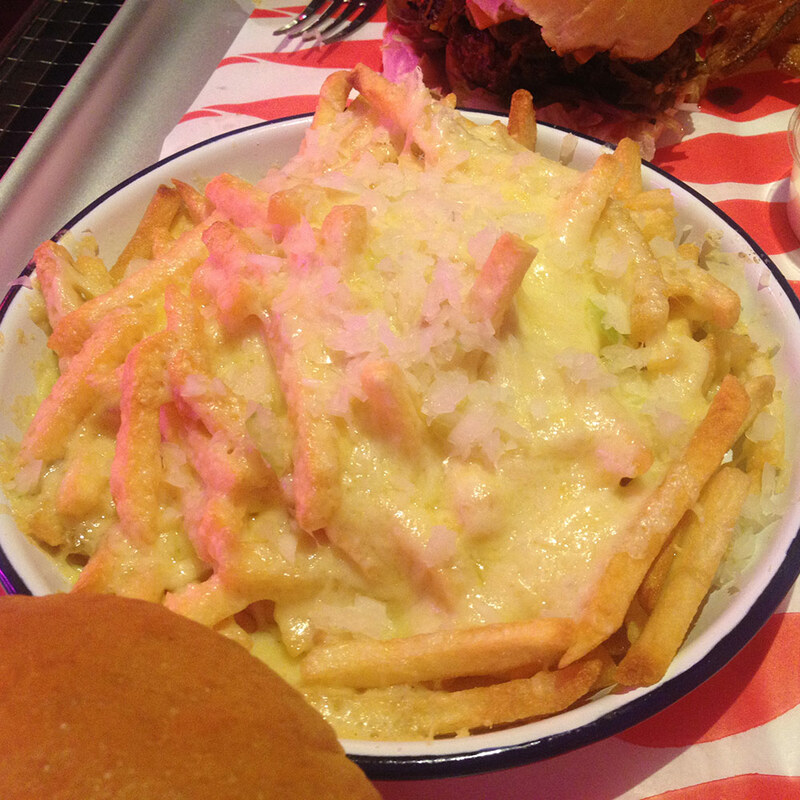 MeatLiquor know how to do sides alright. MeatLiquor reminds me of fast food, but quality, tasty fast food. This is McDonalds in an alternate universe, complete with that sensory hit of bright red stripy paper and plastic trays. Where Maccy D’s is happy to churn out turgid, processed salt burgers, MeatLiquor will fatten you up with choice, plump patties, but that feeling of scratching an itch with naughty food is identical. 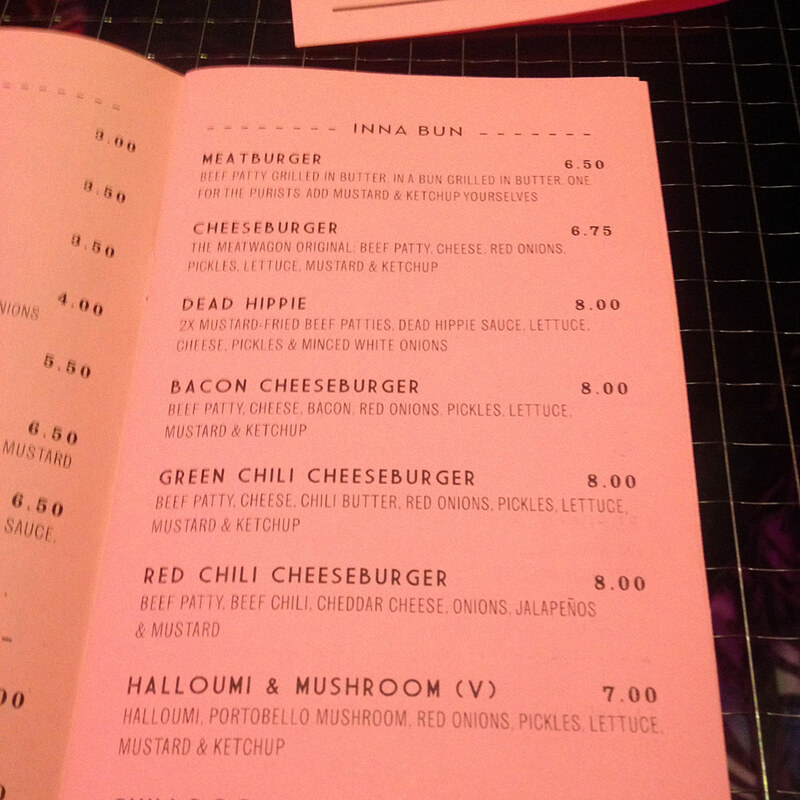 My Dead Hippie didn’t quite match up with other offerings containing quirkier ingredients that I’ve found elsewhere in Brighton; burgers that surprise as well as satiate. 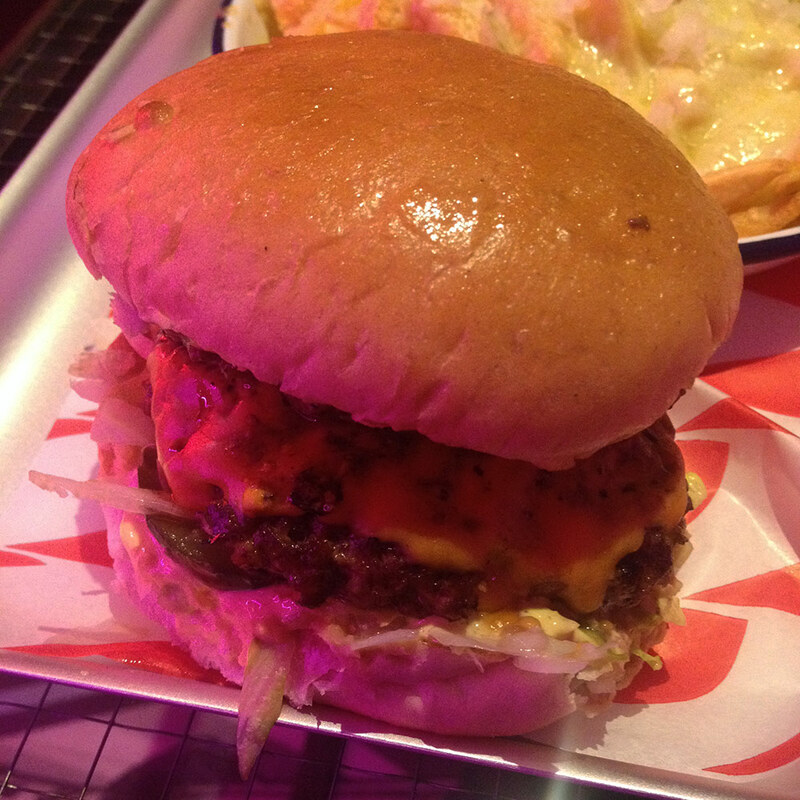 But there’s still something to be said about the sheer unadulterated pleasure that a juicy, gooey cheeseburger provides, and MeatLiquor do it as well as anyone else I’ve tried. Pure fatty goodness, then, and, in the fried pickles, an unmatched side dish that will very hard to beat.